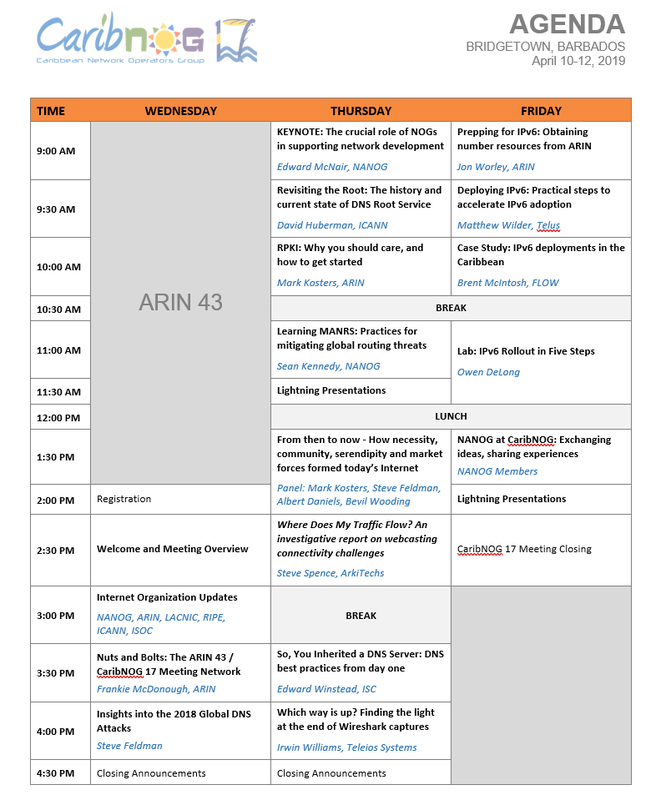 The Caribbean Network Operators Group (CaribNOG) 17th Regional Meeting will be held at the Hilton Hotel in Bridgetown, Barbados on April 10 - 12, 2019 directly following the ARIN 43 meeting. The agenda is available below for download. Presentations and meeting resources for topics covered at CaribNOG 17 are available below. Presenter bios are included and only presentations that have archived video, PDF, PowerPoint, or other files will be displayed.